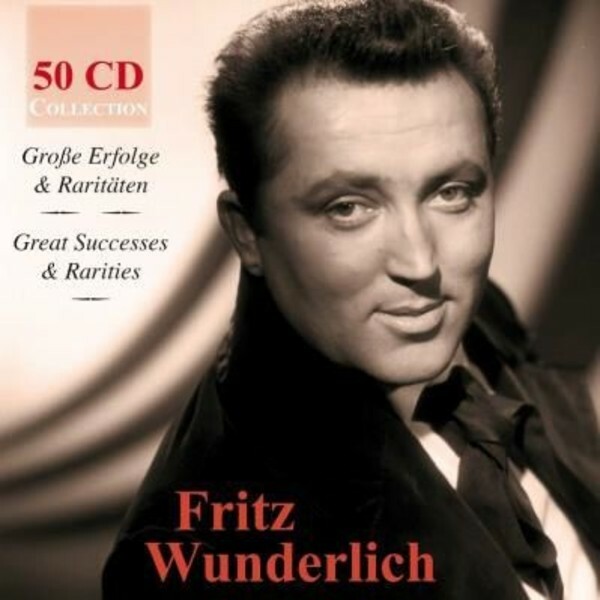 An immense 50 CD box set to commemorate the 50th anniversary of the death of German tenor Fritz Wunderlich. It offers the most complete eulogy to this leading tenor. It presents Wunderlich together with the best-known star singers of his time (Rudolf Schock, Hermann Prey, Kurt Bohme, etc). The music covers everythig from opera and hit-songs to cantatas and oratorios, from composers such as Mozart, Wagner, Strauss, Tchaikovsky, Rossini, Smetana, Carl Zeller and many others. The orchestras featured on this set include the Berliner Symphoniker, Munich Radio Orchestra, Vienna Philharmonic Orchestra and many others. The booklet, as well as giving details of the recordings used here, includes also Kammers�ngerin Ingeborg Hallstein�s reminiscences of her stage partner Fritz Wunderlich, and a contribution by the renowned music author J�rgen Kesting, who has much of interest to say about the voice, vocal technique and the importance of this exceptional singer.